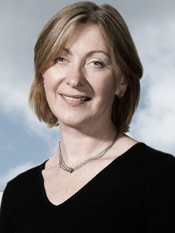 Clare Logie interviews Professor Sara Carter OBE, Associate Deputy Principal, Strathclyde University (at time of interview, Sara was still Professor of Entrepreneurship and Head of the Hunter Centre for Entrepreneurship at Strathclyde Business School). Though she was brought up in London and Kent, we in Scotland have claimed Professor Sara Carter as our own, as she has been such a significant part of Scotland’s great academic institutions now for many years. She studied for her first degree at Lancaster and her PhD at Stirling and her research focuses extensively on entrepreneurship policy; this includes studies of agriculture and rural economic development; gender, entrepreneurship and finance; and rewards and lifestyles within the entrepreneurial household. Awarded an OBE in 2008 for her services to women entrepreneurs, Sara is passionate about her work for sure, but also about so many other issues and topics and it is a pleasure to listen to her firm and articulate views and to be surprised by some of her answers! She virtually lights up when you ask her to talk about the Hunter Centre and about Strathclyde University itself and talks of it with such pride and enthusiasm, you find yourself wondering how you can find a way to sign up. And I had to write really, really fast…..
Clare Logie What drew you to entrepreneurship as a field of study? CL How would you describe your fundamental remit as Head of the Hunter Centre for Entrepreneurship? CL What do you see as the achievement of which you are most proud during your time there? CL Speaking of next, what is next for you? CL How would you sum up the characteristics of Strathclyde University? CL Is there anywhere in the world you would particularly like to work? SC “No, I’ve been everywhere. Sorry if that sounds arrogant, but I have. My job is truly international so I have been lucky enough to travel extensively throughout my career. There’s lots of places I’ve particularly enjoyed going to (she references a ‘boot camp’ in an amazing research centre on Queensland’s Gold Coast, beaches, lagoons and all). I am a Visiting Professor at a university in Norway and have been for 10 years and I love going there. I feel very at home there.” (We chat a little about a trip to New Zealand, where Sara was caught up in the first of the big earthquakes that occurred a couple of years’ back. Luckily, the main quake occurred during the night, avoiding too much death and destruction, but the experience was terrifying). CL So, would you say academia is female-friendly, in career terms? CL What advice would you give to women in academia? CL What do you love about your job? CL And what frustrates you about it? SC “If anything at all, I suppose not getting change implemented quickly enough but then we’re in a place of permanent revolution, so even that…..
CL And do you feel positive about Scotland’s economic outlook? CL Who has provided significant inspiration to you in your life? CL (rudely interrupting by snorting tea) I doubt it, you, dopey? CL Would you describe yourself as a feminist? CL What character trait do you most admire? CL What are you currently reading? SC “NW by Zadie Smith, it’s wonderful. To be honest, I’m doing everything I can to avoid reading ‘Bring Up the Bodies’ by Hilary Mantel. It took me three months to get through the last one (Wolf Hall) and I just can’t face it. But I feel so guilty because she’s a brilliant writer and also because my son bought it for me for Christmas. But I’m still avoiding it. CL And what’s your favourite song? SC “‘Somewhere Down the Crazy River’ by Robbie Robertson. It’s just so evocative and mood enhancing.” (We went on to agree and extol its virtues for five minutes and I had to put it straight on when I got home! ).